Book coach Azul Terronez jumps into the Marketing Kazspa hotseat to talk about how to stand out from the crowd when you put together an online course or program. Azul Terronnez coaches people who are terrified of writing but want to be a published author. He shows people how to overcome their FEAR of self-publishing- while making the writing process fun and easy. Azul knows the ins and outs of getting your book published, purchased and read. He’s a best selling author and he has helped authors all over the world make their books a reality. Amongst Azul’s client list are seasoned writers like Pat Flynn, of Smart Passive Income and Dana Malstaff, of Boss-Mom.com. And when he’s not writing or coaching other authors, Azul can be found relaxing in a yoga class or obsessing over tiny houses on Pinterest or just enjoying his family’s cute dogs, Scooter and Oliver. Oh, and Azul currently lives in Shanghai, China with his partner and daughter. Azul shares that he wants to build relationships and reach people without being “spammy,” and wants to know how he can successfully transition from delivering one-on-one coaching into delivering a group coaching program. 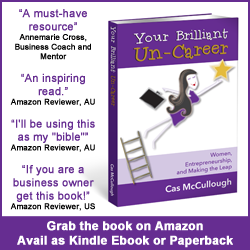 Want More for Your Brilliant Un-Career? To be success in Online course YBUC 49 Marketing Kazspa technology is more useful and i know people can use it with comfortably. So i am so happy to get this technology in online course.